using ‘t’ worksheets in Jolly Phonics Workbooks. These workbooks are an investment but well worth it. To make them usable more than once, I take the workbook apart and use a write and wipe pocket. 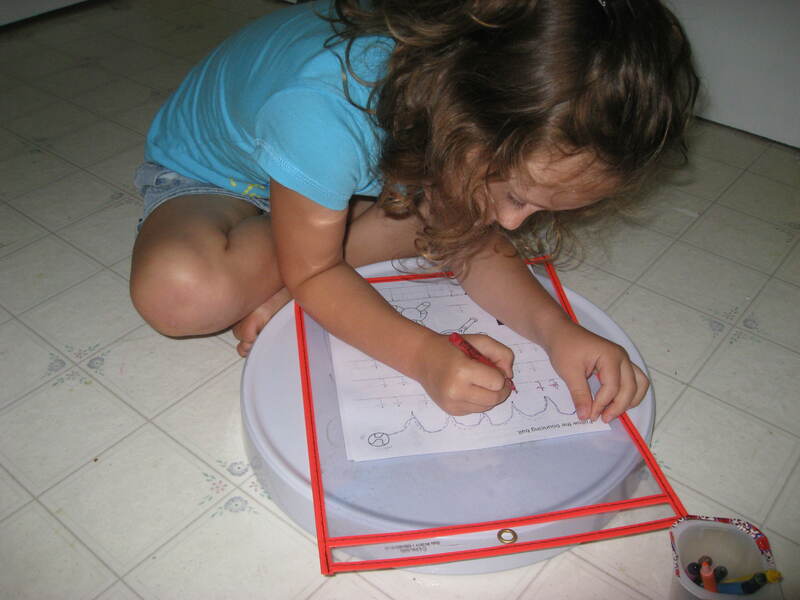 Daisy likes to use workbooks, although please ignore her writing posture here. We were avoiding the heat and a sleeping wee sister, at the cottage! Finger writing ‘t’ and reading ‘t’ words. Looking at various representations of Tt. I have just discovered Pinterest. It is fun! 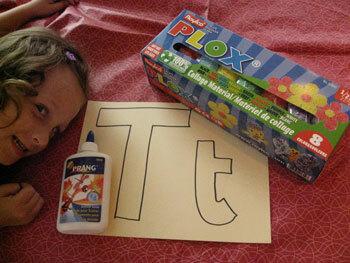 We have done a little work on the sound ‘T’ in the past so I decided on a more crafty activity to try out a product; Plox. I love the texture of scrumpled up tissue paper for collage but hate the time it takes for kids to rip, scrumple up and glue on the tissue paper. They end up getting frustrated because their sticky fingers make ripping and scrumpling even more difficult (yes ‘scumpling’ is a verb in my dictionary!). 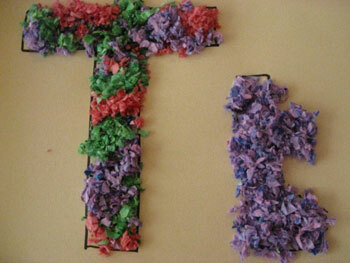 This product gives you the effect of tissue paper but with a more even, fluffy, flock look. 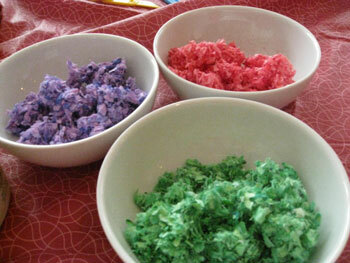 Daisy picked three colours and I put them into bowls. 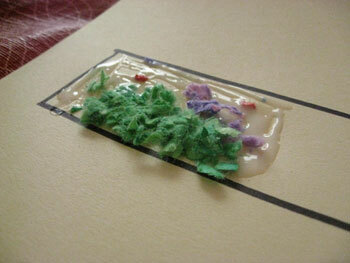 She added glue to a small section at a time and then the plox. I supervised the first section and then she worked independently. I recommend doing small sections at a time to allow the plox to stick. Kids tend to go over board with the glue, so explaining the need to do a small section at a time, gives a better success rate. Pretty T and t in a short amount of time. I see us using Plox lots, look at these closeups; it is beautiful.